Immersify, a European R&D consortium that was organized in October 2017 and will continue until March 2020, is creating innovative technologies for Virtual Reality. 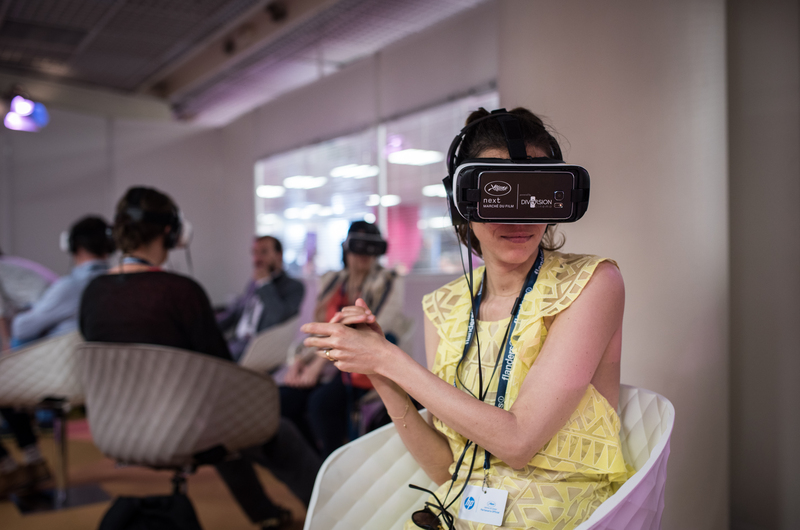 Virtual Reality (VR) has what it takes to be the next big game changer in the media sector. In distinct contrast to video, TV and movies, VR applications guarantee experiences that are not only more riveting but, above all, interactively one of a kind. Despite the considerable amount of R&D work that still needs to be executed to pull VR apart from confined niches, it is on the rise to a huge consumer market share. A new technology for the video compression of data, which is virtually exploding due to higher resolutions, frame rates and constantly improving image formats. Media players and formats being able to support as many different technical environments and devices as possible. Allowing creative individuals working with high-quality videos, CGI in 2D and 3D, along with interactive elements, the option of combining them so that users are in a position to enjoy complete customized experiences. Showcasing the ongoing progress of R&D in the form of demos at the Ars Electronica Festival and the Marché du Film in Cannes, where specially developed content and innovative market-oriented products will exhibit Immersify’s creative and technical capabilities. PSNC – Poznan Supercomputing and Networking Center (Poland) is affiliated to the Institute of Bioorganic Chemistry of the Polish Academy of Sciences (IBCH PAS) and is an active research and development center specialized in new generation networking, high resolution and immersive media, scientific applications and visualization, clouds, digital libraries and cyber security, as well as technologies, applications and services for Information Society. Spin Digital Video Technologies GmbH (Germany) develops high-performance video codecs for the next generation of high-quality video applications. Spin Digital codecs enable ultra-high quality video applications such as 4K and 8K UHD, immersive video projection and video walls, and next generation virtual reality and 360° video. The Marché du Film – Festival de Cannes (France) is the film industry’s most important event, an annual gathering of more than 12,000 producers, buyers, distributors and representatives of film festivals. Marché du Film is held annually during the Festival de Cannes since 1959. At NEXT, its innovation hub in the heart of the Marché, VR exhibitors and creators coming from the world over showcase their latest VR. Visualization Center C (Sweden) is a research and science center in Norrköping, conducting a unique mix of leading visualization research and public outreach activities. The center hosts a digital science center for public visits and events including media labs, interactive exhibitions and an immersive 3D fulldome theatre. The center’s production department creates public experiences based on real scientific data. The Ars Electronica Futurelab (Linz, Austria) is a transdisciplinary media art lab that enjoys an international reputation as one of the leading non-university R&D facilities in the areas of media art, information aesthetics, interaction design, persuasive technologies, robotics and virtual environments. One of its many reference projects is the worldwide unique Deep Space 8K, which is to be further developed as part of Immersify.